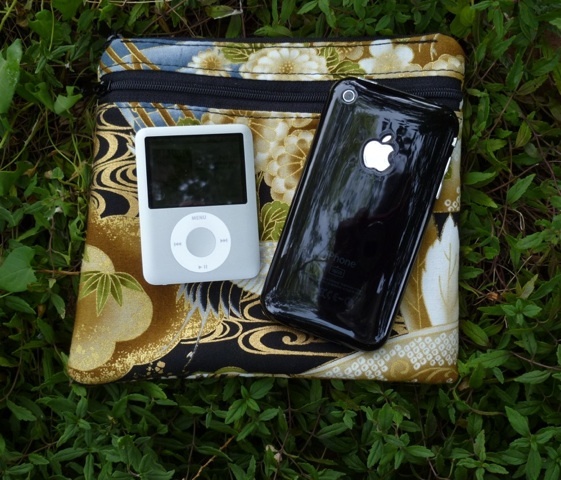 A convertible purse for the iPhone or other similar smart phones. 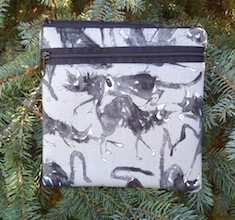 You decide how you want to use this bag. 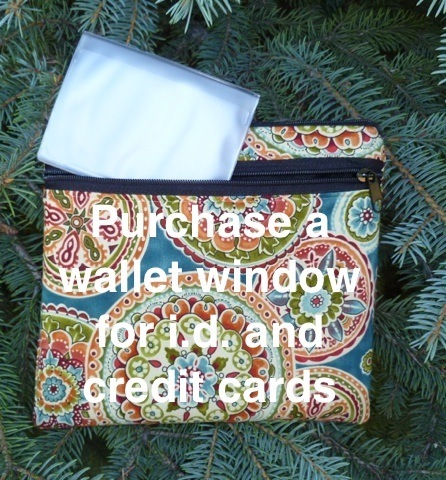 Purchase a 6 pocket wallet window to carry your credit cards and id, it fits perfectly in the front pocket. 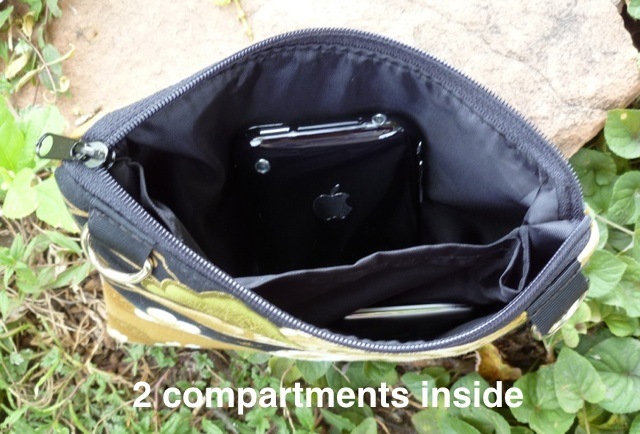 Inside, a simple divider creates 2 compartments for your iPhone, cell phone, smart phone, iPod, keys, etc. Buy the straps and you are set. 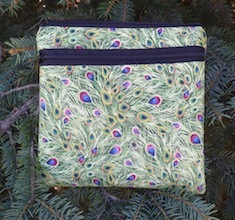 Come back for more purses whenever you need to match an outfit, or see a fabric you love! 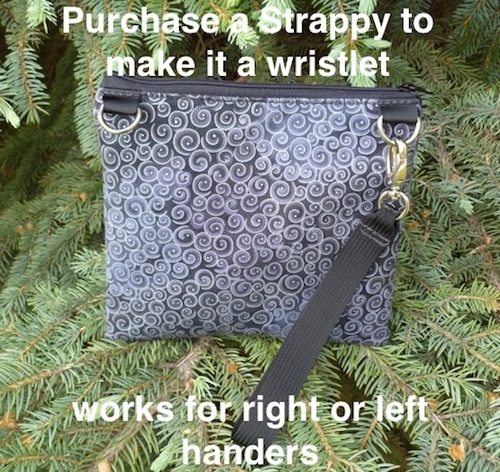 D- rings on the top edge stay out of sight until you are ready to use the bag as a wristlet or shoulder bag. 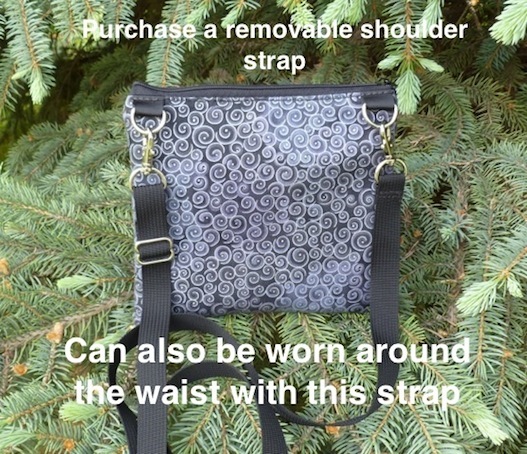 Clip on your wristlet strap to either d ring. 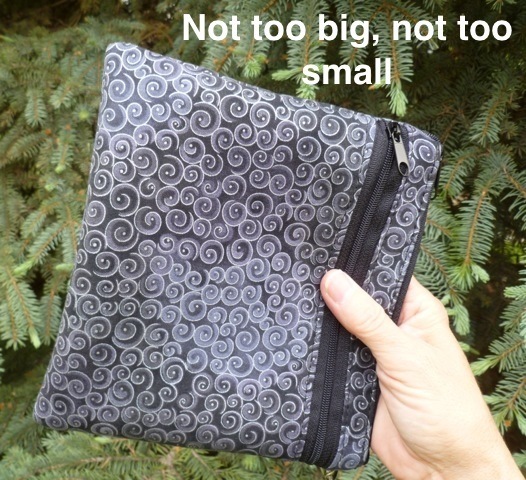 Great for right or left handed use.